Be aware there is a fair chance HKG will get walloped on Sunday by Typhoon Mangkhut (possible super-typhoon by then). Cathay have started warning customers about disruption and there is a waiver of fees for flights booked for 16 or 17 Sept.
We are closely monitoring the potential impact of Typhoon Mangkhut as it is approaching Hong Kong. Flight operations remain normal but the situation is likely to deterioriate in the coming days, with flight delays and cancellations possible this coming weekend. With immediate effect, rebooking, rerouting, and refund charges will be waived for all tickets issued worldwide (irrespective of fare type) on/before 11 September 2018, for travel with a Cathay Pacific/Cathay Dragon confirmed booking, arriving to and departing from Hong Kong between 16 September and 17 September 2018. We strongly encourage passengers travelling on these dates, and whose bookings were made on cathaypacific.com or our mobile app, to rebook their journey via Manage Booking online. Please view our Special ticketing guidelines for Typhoon Mangkhut for further details. All customers scheduled to fly are urged to check Flight Status before proceeding to the airport. To ensure you receive the latest flight status updates via SMS or email, please update contact details in Manage Booking. To understand our service recovery during disruptions, please visit our Flight delays and cancellations page. One thing I have realised over my 20 years here is that, although CX has gone to the dogs in many other aspects, their weather people do seem to be pretty good at forecasting whether a Typhoon will significantly impact their operations. There have been plenty of T8s where they've basically carried on as normal, so for them to be highlighting this one 5-6 days out they must be pretty sure it's going to be a relatively big one. kaka, Too much travel, HaikalS and 2 others like this. From the forecast it’s predicting a direct hit on HK late Sunday afternoon so I would imagine all flights that day will probably be cancelled. And, yes, that's a really big one. Bigger than the ones, the USA is peeing for in their pants. Under the relaxed rebooking rules posted, should CX rebook me on a flight where there is only a higher subclass available, would they charge the difference? While the wind speed may be greater at the moment, winds are forecast to slow to 80 knots (sustained) when it reaches Hong Kong according to this forecast. Which is likely to be less than the winds from Hurricane Florence when it reaches the US. 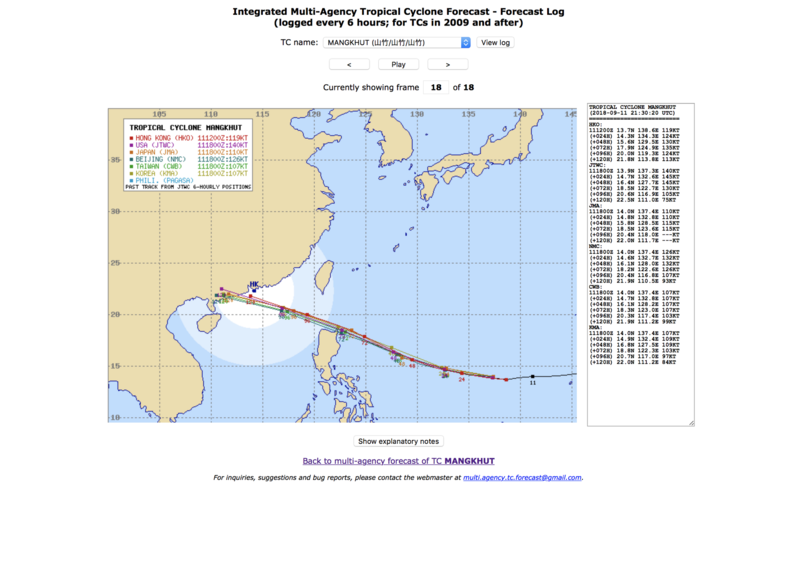 Checked with AIG and was told newly purchased policies would not cover travel delay due to typhoon. However, policies purchased yesterday (same day as Cathay's travel advisory) would have been eligible. They decide on case by case basis. They are no longer giving refunds if you want to cancel your flights. I'm supposed to be on the inaugural IAD-HKG flight this coming Sunday and between the East Coast Hurricane and the HKG Typhoon, it's not looking good for this flight to operate. They have already zero'd out the flight which is the first step toward cancelling it. I'd like to cancel the tickets altogether and book another flight to my final destination but without waiving the cancellation fees, I'd be out the $600 cancellation fees. I'm scheduled to arrive HKG on 9/17 6am. Looks like it will be affected. Will CX usually hold and delay departure or divert to another airport? If you try booking for the 16 and 17th you'd notice all flights are fully booked/unavailable. I think they have went ahead and closed all the flights in order to make it easier to shift around passengers later on. I'm flying back to Manila from Shanghai on the 17th and Im pretty worried myself, although it seems like the Typhoon will hit HK on the 16th. I am booked to fly to HK this weekend on QF, who dont have a change waiver. I dont really want to be there during a cyclone. Im hoping that that will change today or tomorrow. I like using this website which puts together different forecast into one map. Looks like apart from HK Observatory, the other weather forecasts are saying that the Typhoon will be farther away from HK by the 16th UTC. Could be, the forecast reference you give, does predict Mangkhut to be 105G130+ knots on landing at Hong Kong, which tends to be significantly above the max winds for land/starting aircraft. Be aware the timing in your reference is GMT, making it 8 hours later in the local clock. Which in turn implies, the wind speeds can be higher (somewhere up to 120G145 knots). Serious enough to be prepared.